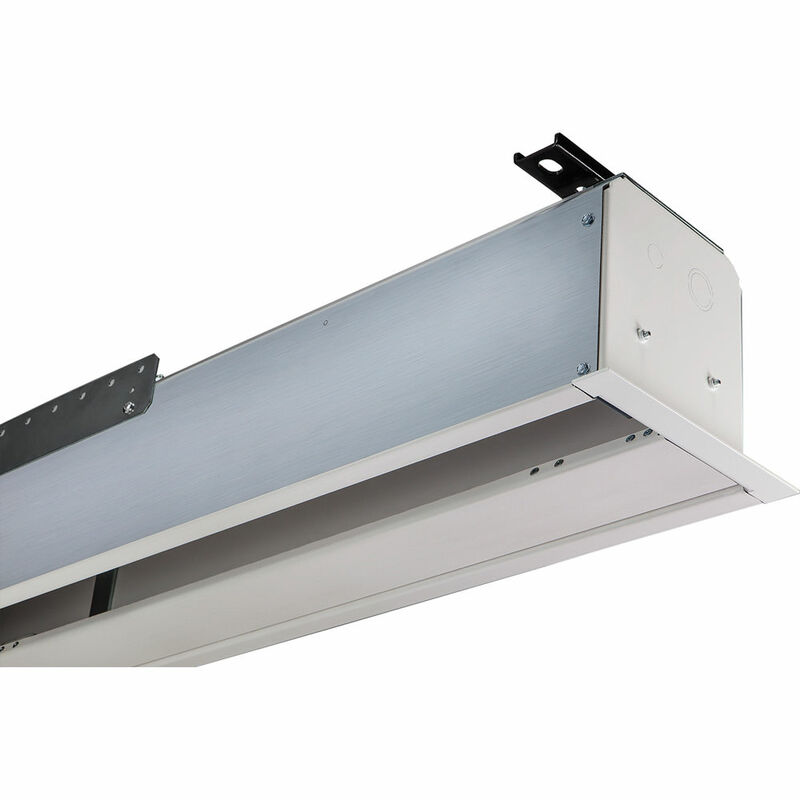 The white 110V 139021SAQU Access FIT/Series E 87 x 116" Motorized Screen with LVC-IV Low Voltage Controller and Quiet Motor from Draper is a motorized screen for ceiling-recessed installation. With a height less than 6" and a uniform housing size that can fit a number of different screen sizes, the Access FIT/Series E is optimal for installation in tight openings above the ceiling. It is designed so that you can install the case during the "dirty" phase of the construction process and keep the screen surface safe until you install the projector. The screen (motor-in-roller and attached viewing surface) is designed to be easy to install thanks to preset latching roller brackets and electrical pin connectors. Waiting to install the screen until after construction is completed eliminates the risk of job site damage.